Coins 3 Greek Italy. Central and Southern Campania, Phistelia. 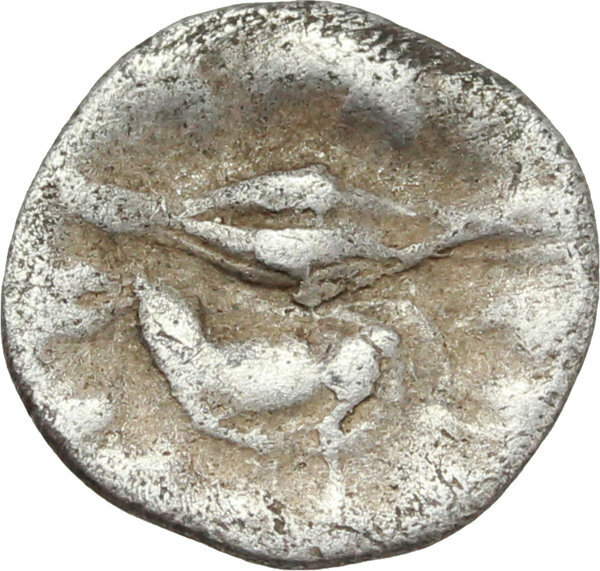 AR Obol, 325-275 BC. 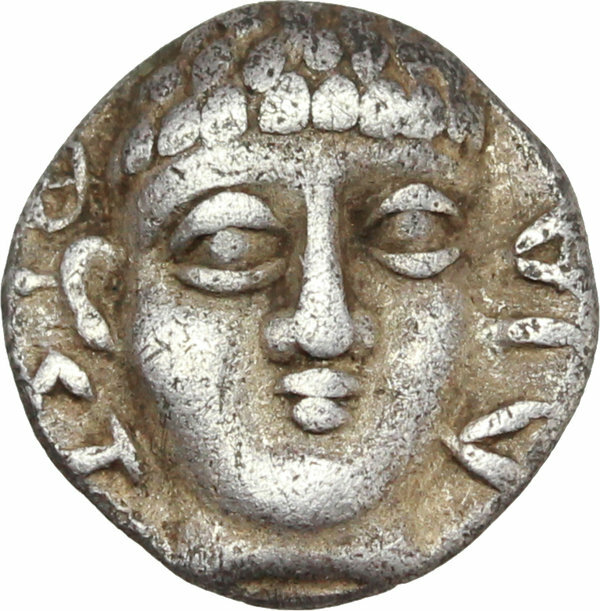 D/ Young male head facing; around, ΦΙΣΤΕΛΙΑ. R/ Corn grain and mussel; above, dolphin right; below, Oscan legend FISTVLIS. HN Italy 613. SNG ANS 580. AR. g. 0.65 mm. 10.00 R. Rare variant with greek ethnic on obv. Good VF/About VF.